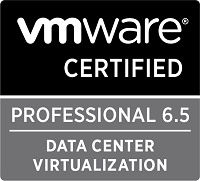 In my last post about upgrading vCenter to 6.5 I’ve outlined the steps I needed to do for the migration. Both pre-migration, the actual migration and some post-migration steps. 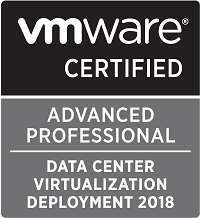 Today we were about to upgrade/migrate one of our oldest and biggest vCenters which presented some additional steps to consider for the pre-migration checks and tasks. This is also described in the VMware documentation so it shouldn’t be a surprise to those reading that before migrating. Anyways, we started the migration and all seemed fine until the Deployment size of the Appliance were shown. The installer only gave one option, the x-large. 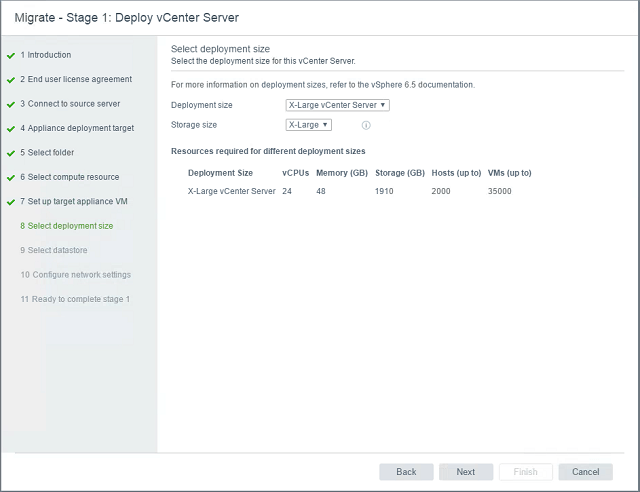 This option is sized based on an environment up to 2000 hosts and 35000 VMs. What is a bit odd is that the migration assistant scripts on the source vCenter VM suggested the Medium sized option. It turns out that because of the size of the database (which is external to the Windows vCenter server) impacts the deployment size heavily. We were aware of the database being large, but were surprised that we couldn’t select a smaller option and select what data we would migrate (which is an option in a later stage of the migration). There is a KB article from VMware about this and it instructs you to purge old data from the database, and also reset the inventory database if needed. We do not want to do anything on the Inventory database, but we will look into purging some old tasks, events and historical performance data to get the size of the database down to an acceptable level. Also there are posts mentioning old dump and logfiles on the vCenter server, while it’s probably a good idea to delete these, I’m not sure that this will give you a much smaller deployment size.